MARKSVILLE, La. 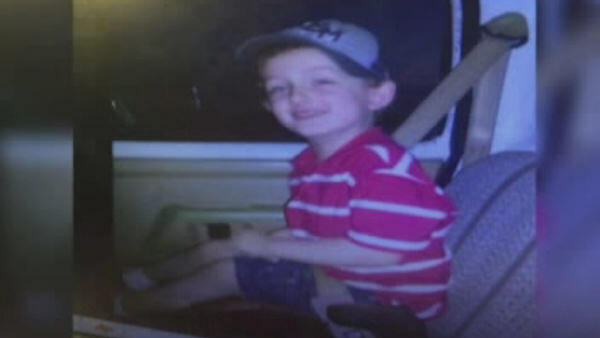 -- After 12 hours of examining forensics in a shooting that left a 6-year-old boy dead, Louisiana investigators will meet with the city marshals who fired on the car in which the boy was riding with his father. Col. Mike Edmonson, head of the Louisiana State Police, said he would travel to the central Louisiana city of Marksville on Thursday to speak with the marshals as well as to discuss the shooting with his investigative team and the city's police chief. The marshals were chasing a vehicle driven by Chris Few on Tuesday night after Few fled when they attempted to serve a warrant, Avoyelles Parish Coroner Dr. L.J. Mayeux said. Few reached a dead end and was backing into the marshals when they fired, Mayeux said. Mayeux said Few's son, 6-year-old Jeremy Mardis, died from multiple gunshot wounds to the head and chest. The boy, he said, was "caught in the line of fire" and killed. Few was listed in serious condition Wednesday, hospital officials said. Edmonson said he will sit with his investigative team and the Marksville police chief to determine what happened. "Anytime an individual is killed, especially a child, it's a tragedy," he said. "The investigative team spent 12 hours Wednesday going through the entire scene from a forensic standpoint to get the trajectory of the bullets, find and count the casings and generally put the scene together." Edmonson said investigators received a written statement from the marshals, but hadn't yet spoken to them. "I'm sure it's been traumatic for them but it's our intention to talk with them," he said. The city marshals work for the city courts and serve warrants, carry firearms and have police powers, according to the mayor's office. It was not immediately clear what type of warrant they were trying to serve Few. Blaine Dauzat, the Avoyelles superintendent of schools, said Mardis moved to the school district from Mississippi at the end of his kindergarten year last April. "We are definitely all shaken up," he said. "It's been a tough day at work for all of us." Dauzat said grief counselors were sent to Mardis' school, the Lafargue Elementary School in Effie, a community north of Marksville. Dauzat said Mardis had no siblings in the school system. Mayeux said Mardis was living with his father and grandmother in Marksville.